No limits from the factory ECU! 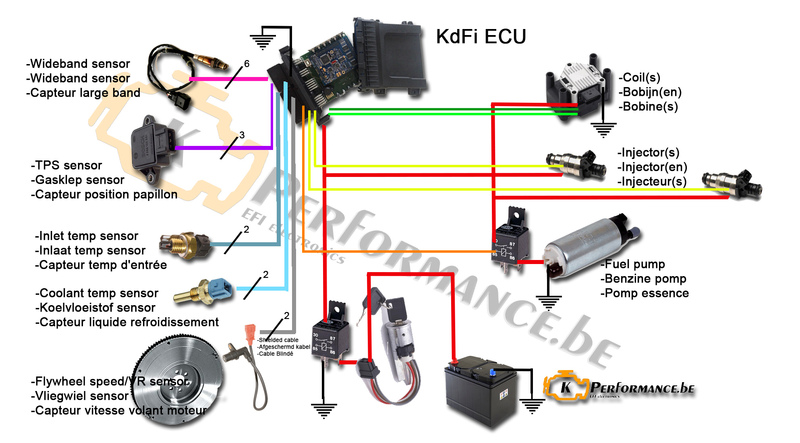 KdFi is a general purpose aftermarket electronic fuel injection (EFI) controller designed to be used and tuned with a wide range of spark-ignition internal combustion engines. Tuning is an iterative process that starts with setting the general parameters (for fuel, spark advance, and air flow) to get the engine running, and continues until the engine performs optimally under all conditions (as judged by the tuner). The timing of the spark to ignite the air fuel mixture. So we need less than 10 components to start basic tuning of engines with the KFDI!! The basics above are already installed on most vehicles!